I hate throwing away food, and bananas just seem to go bad all the time. 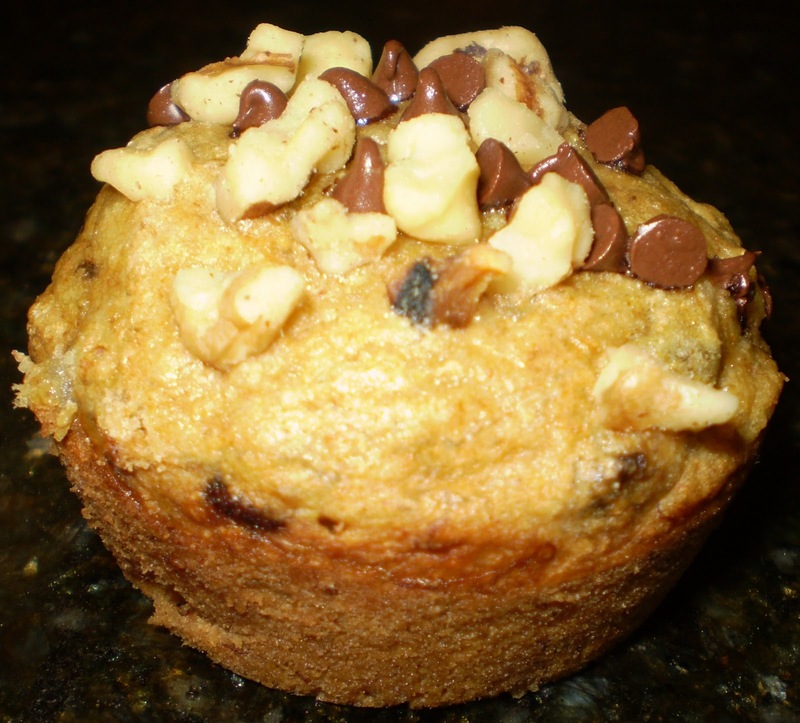 I modified dozens of recipes and came up with this yummy healthy treat. Now I always buy extra bananas, wait for them to get super ripe, make muffins, freeze them and use them as a replacement for granola bars in my lunch box. Warning: Don’t expect super sweet muffins. They are sweet, but not dessert style muffins. Preheat the oven to 350°F (175°C). 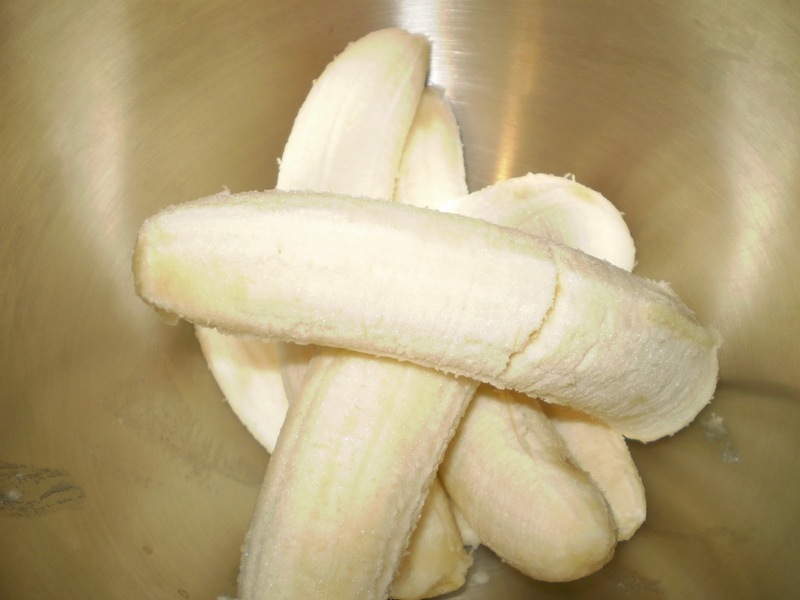 With a wooden spoon, mix apple sauce into the mashed bananas in a large mixing bowl. Mix in the sugar, egg, and vanilla. Sprinkle the baking soda and salt over the mixture and mix in. Add the flour and chocolate chips last, mix. Pour mixture into muffin tins. 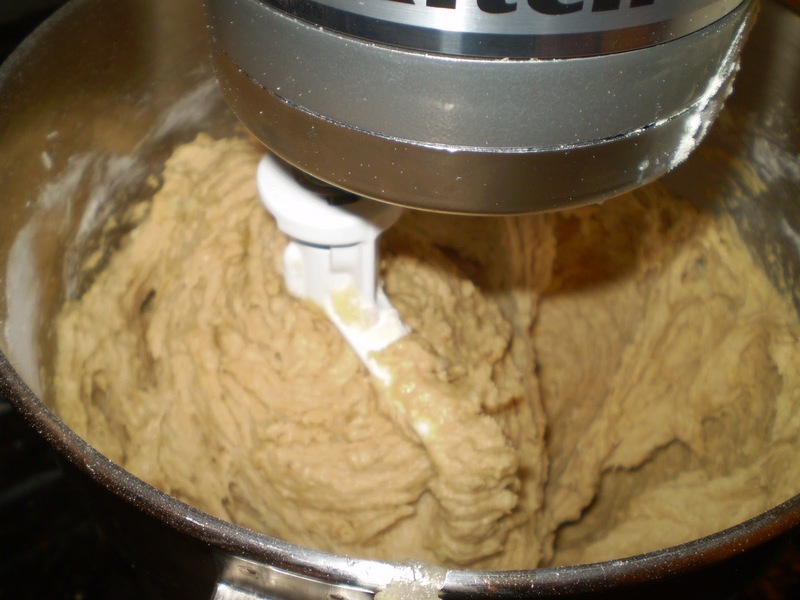 Top each muffin with a few walnuts. Bake for 20-25 minutes. 35-40 minutes for mini-loaves. Allow to cool, then enjoy! seems good! like the new background! I love muffins that aren't too sweet. 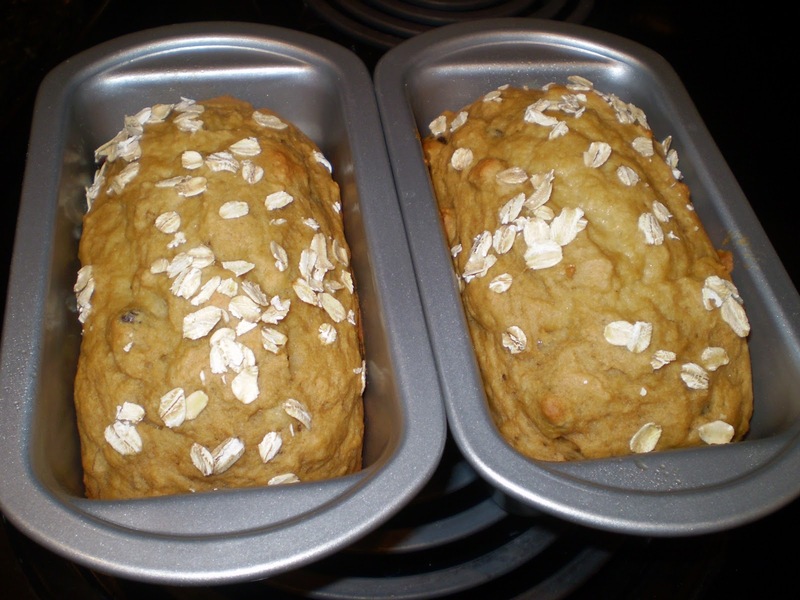 I have some very ripe bananas, so this recipe was timely for me! Will let you know how they turn out.